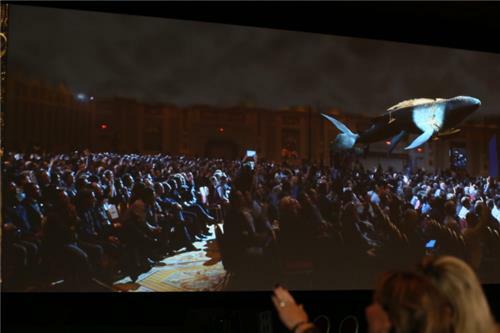 Which means, I guess, that they've superimposed a flying whale on the screen over a streamed video of the ballroom. Why are people looking around like there's an actual whale in the room? People are looking around for the whale. But I assure you, it's only on the screen. I'm not really sure that Intel understands kids. And now...Krzanich is talking about Valve and video gaming. So here comes Gabe Newell from Valve. Hopefully we'll now get some cool gaming tidbits. They're actually playing DOTA 2 onstage right now. And just like that, we're on to something new. Intel makes millions and millions of transistors every day. For like 5 seconds. 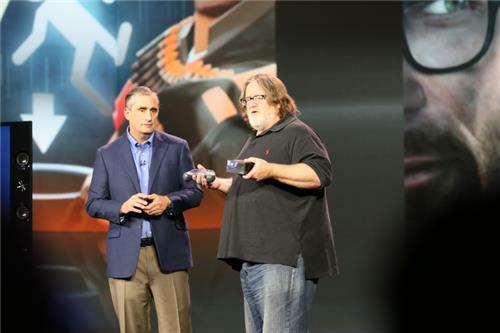 OK, I like Gabe and Valve, but did he need to be there for a two minute appearance? Intel is now talking conflict minerals. 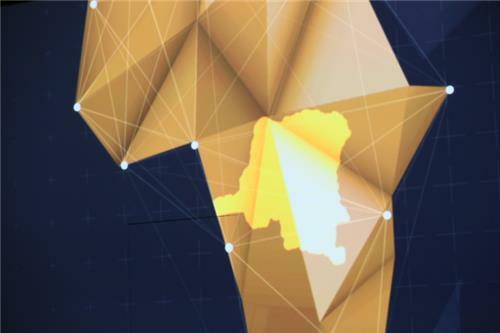 Intel is talking about conflict minerals, and the war in the Congo built around the economy of those minerals. Presumably Intel will talk about not using those minerals. And the guilt washes over everyone in the room. The easy answer is to stop sourcing those minerals from the region. But...can we do something else to help the people in Central Africa? "That's the challenge we took over four years ago," Krzanich says. Over the last four years, we've worked with our industry, and governments around the world, to transform the industry, Krzanich says. Years of work has paid off, he says. 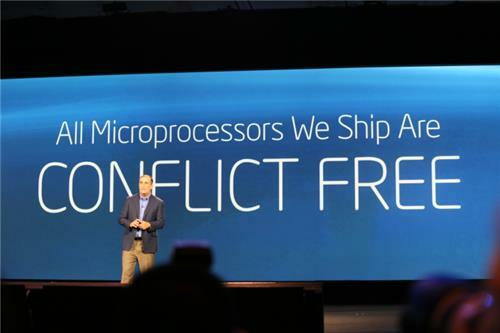 Tonight, every processor Intel makes in 2014 will be conflict free. No more conflict minerals in Intel processors, at least in 2014. Admirable gesture. And Intel is challenging the industry to take on the use of conflict minerals. Genius kids all on stage. Feels like I'm living Ender's Game. Looks like we're winding down. Well, folks, Krzanich thanks everyone for being on this journey of innovation. And that's it from the keynote. Thanks for joining us, folks! 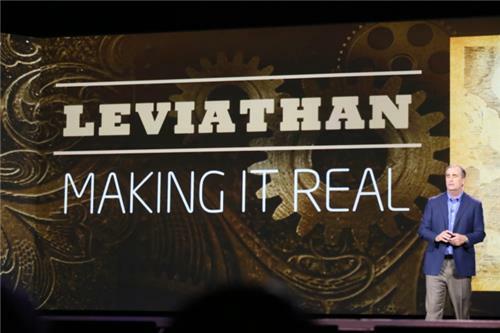 Hey everyone, that's it for the live blog at Intel's CEO keynote, thanks for watching. Be sure to tune in tomorrow morning for more coverage of CES 2014 in Las Vegas.